Personalised Leather Belt With Photos & Designs. Custom Leather Belts. Whether you're heading to a party or gift buying, our personalised leather belt does the trick. Upload your design, photos and text on your custom made leather belt from London. See preview before you buy. If you have an event, or a show or a particular look you want to finish off, then designing your own belt could be a great addition. Our printed custom leather belt is available for men and women of different sizes. Made from 100% leather with metal buckle, you can upload a design, add text or photos or montage for your own personalised belts. Excellent quality belt. I ended up having 4 photos repeated along the belt. My husband loves it and said I always find good unique presents. Fast Delivery, Great Service, & Very Friendly, My Husband Loved His Fathers Day Gift & The Detail On The Product Was Simply Amazing & Very Detailed, Also Along With That The Quality Of The Product Wasn't Cheapy Made Believe Me There's Some Company's Out There That Do Poor Work For Double The Price, My Credit Goes To Thise Involved In Someone Spending Time On Creating My Design From Picture To The Item I Wanted It Printed On, Since Finding I Haven't Stopped Spending LOL, They Have Gifts For Any Member Of The Family @ A Reasonable Cost But.....There Are Just A Couple Of Things That Are Out Of Price Range. So It Would Be So Nice To See Some Sales Or Clearance Sales Maybe A Few More Discount Codes For Members, That's The Only Flaw I Have For This Company Bags Of Love 1 Minor Little Touch To Save A Few Pennies In Our Pockets. THANK YOU: . Your design is printed using eco-friendly, liquid gel inks. The technician uses a digital printing process which leaves no film, or difference in feel from the original material to the printed material. Once your leather belt is printed out craftsmen will assemble your belt, including adding the buckle. This is then passed onto quality control for thorough checking before being sent out to you. There is so much that you can do with a belt. Pull your outfit together by matching the colour scheme of your belt with your tie. You could even make a personalised tie to match exactly! 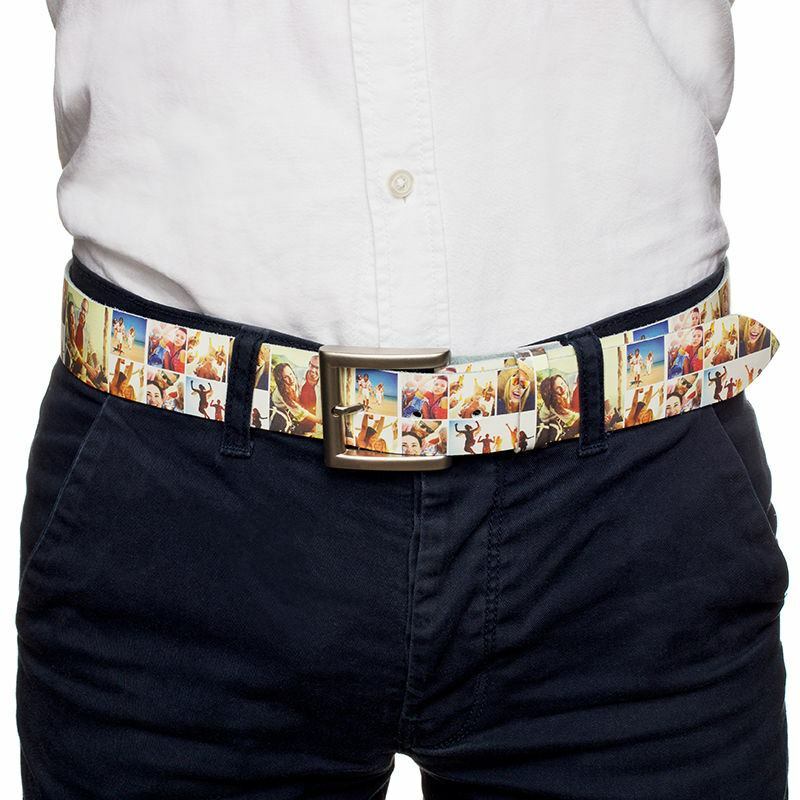 Rebel by wearing a loud and proud belt with your office attire, or simply sport your favourite pictures, photos or characters with your casual wear. Create your design on the portion of the belt that is displayed, and then you can view the front and the back to make sure that you are happy with the repeat and the way that your final product will look. Personalised belts with your design or text. Print on both sides for a reversible webbing belt you customise with photo or text.